So what is chilaquiles? 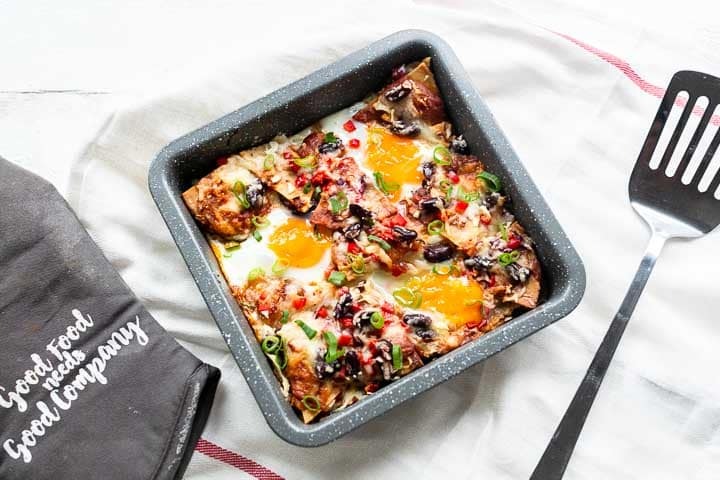 Chilaquiles is a traditional Mexican recipe that is made with corn tortillas as the main ingredients and salsa. 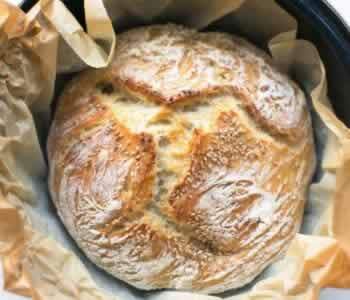 It is one of those recipes that goes around for centuries and is slightly different per region and family traditions. 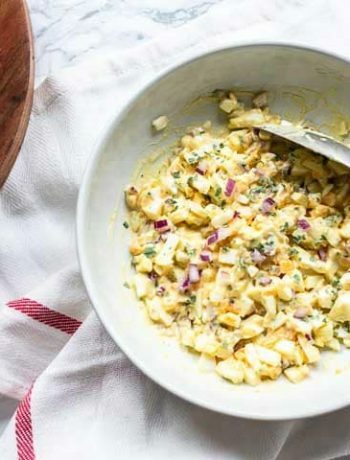 The best thing about this recipe is you can adapt it completely to you taste and liking. You can e.g. add vegetables, meats or beans to garnish this dish. 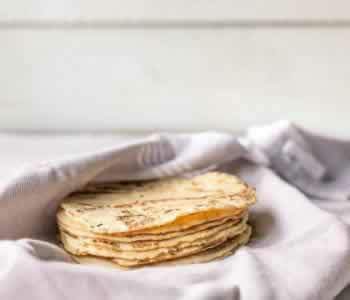 If you are wondering what to do with your left over tortillas, tortilla chips or salsa do not worry because you now have a recipe that you include all of it. Start with cutting the corn tortillas in half. Then cut the halved tortillas into stacks of 3 wedges giving a total of 36 tortilla wedges. Heat a frying pan and add the olive oil. Pan fry the tortilla wedges into tortilla chips on both sides until brown and crispy. Drain on a paper towel. Finely dish the white and red onions and slice the scallion. In this recipe I used enchilada sauce but you can also use tomato salsa. Of course you can also take a bottle of salsa or sauce. Spray an oven dish with cooking spray and divide a first layer of tortilla chips on the bottom. Drizzle a couple of tablespoons of sauce on the tortillas. Then a third of the kidney beans, onions and grated cheese. 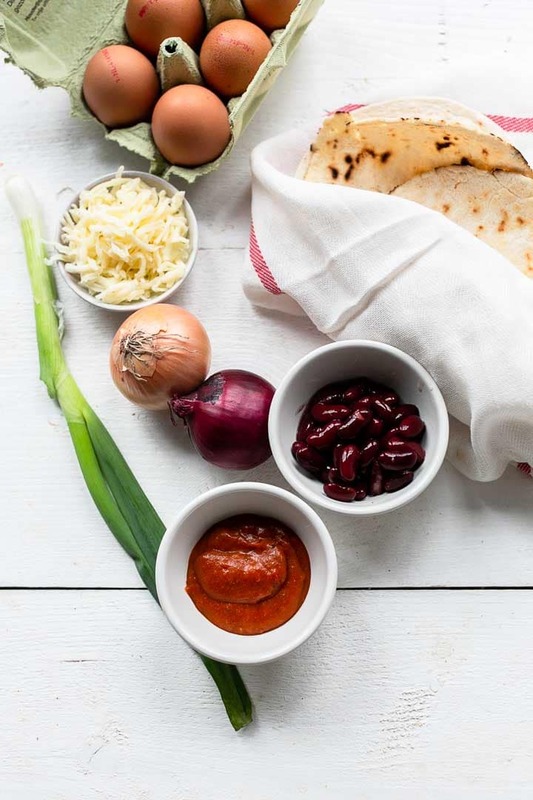 Stack the second layer of tortilla chips and repeat the sauce, bean, onion and cheese routine. Pre heat the oven at 375℉/180℃ and bake the tortilla casserole for 15 minutes. Then take the oven dish out of the oven and separate the tortillas so you can add three eggs in the dish. Make shallow holes else the egg whites will not set evenly. Bake between 10-12 minute or until the egg white is just set. If you keep it in longer the egg yolk will get too hard. Set the oven dish on counter and cover with aluminium foil to keep the residual heat in side to let the egg white set. Sprinkle the sliced scallion on top to decorate. 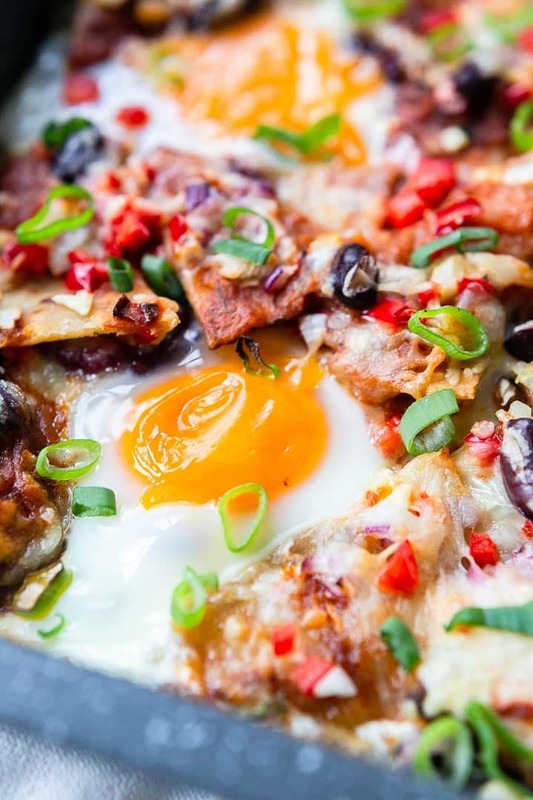 Serve your chilaquiles immediately. 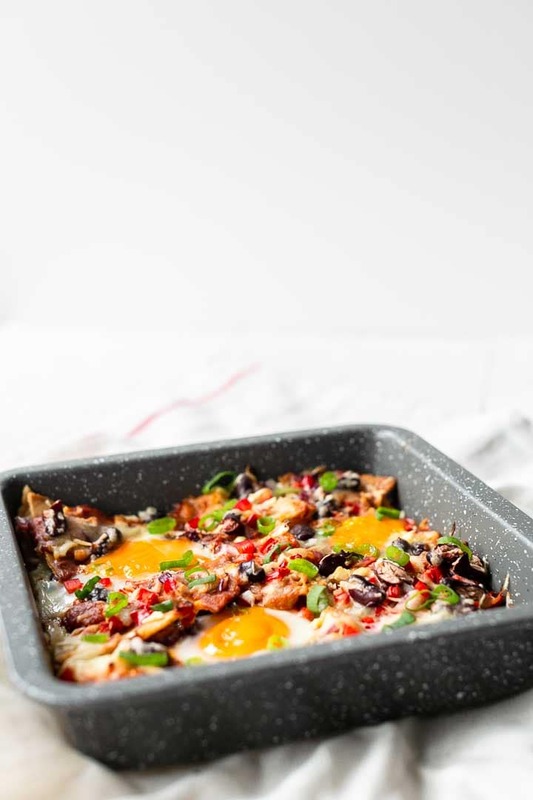 Lunch migas – this chilaquiles look quite similar to this egg migas recipe but is a little different and mainly eat for breakfast or lunch. I hope you enjoyed this recipe as much as I do. 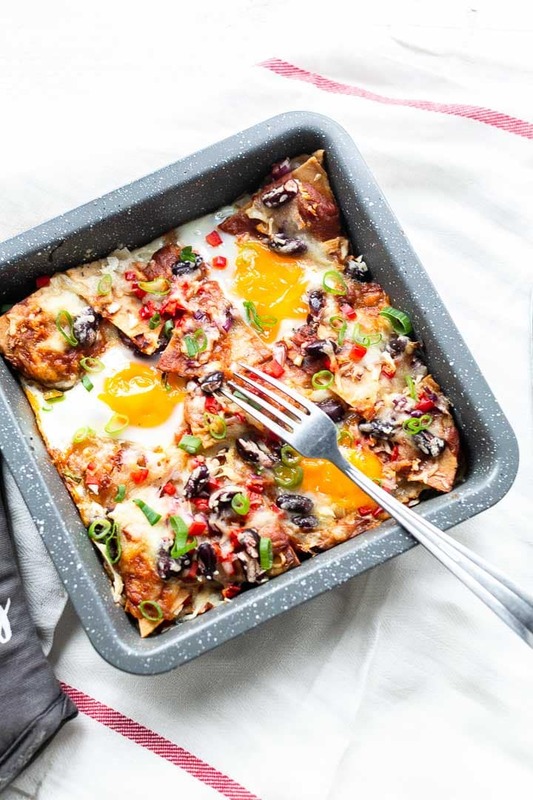 Have fun making this chilaquiles casserole recipe at home! Made a recipe tag @thetortillachannel on Instagram or PIN on Pinterest. 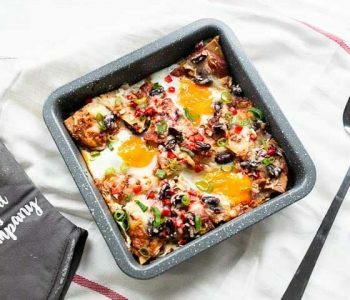 Looking for an easy chilaquiles recipe? Try this recipe made with corn tortillas, sauce or salsa and vegetables. 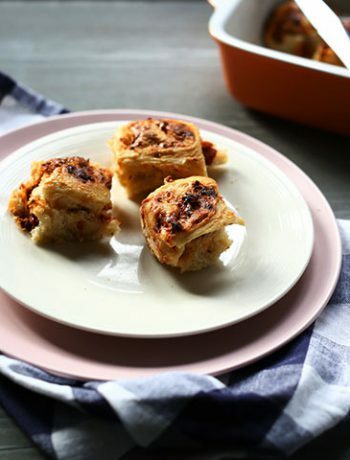 Easy to make and Baked in the oven! Note 1 - I used mozzarella and Gouda cheese as we can't get Monterey jack here. Cheddar cheese is also a great option. Note 2 - Make shallow holes else the egg whites will not set evenly. 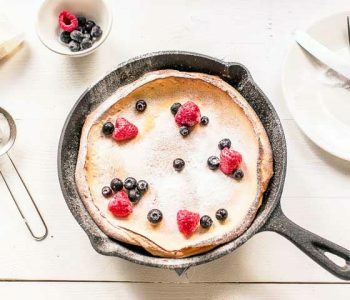 Nice and easy recipe with just a few ingredients. 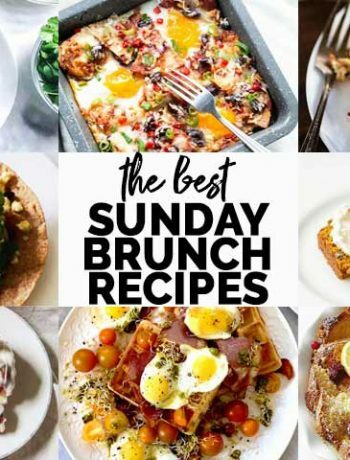 So good to read you like this recipe as much as I do. Thank you so much for tweeting and pinning, so kind of you. Have a great day!